Online or in the classroom, at Middlesex Community College you can earn college credits in less time – and save more money! There's something for everyone this summer at Middlesex Community College. Enroll now for one of four college-credit summer sessions, take advantage of MCC's extensive noncredit programming, or sign your children up for one of MCC's exciting College For Kids program. With four different Summer Session options, MCC can help you earn college credit at a price you can afford. Our small class sizes are perfect for college students home for the summer, recent high school graduates, current MCC students and returning adults. Current MCC Students can take advantage of our accelerated summer semesters to keep moving along their Academic Pathway. MCC's Summer Courses are perfect for the savvy college student home for the summer. At MCC, Adult Learners can fit education into their busy lives. Take personal or professional enrichment courses with MCC's Community Education and Career Training Program! Our programs are designed for individuals in all stages of life and career. 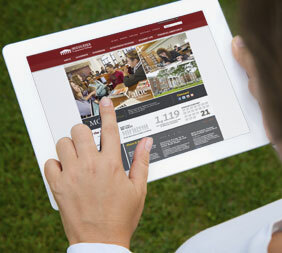 Courses are offered online and on campus in Bedford and Lowell. MCC's College for Kids programs are designed to provide children with fun and challenging opportunities to explore careers, gain new knowledge, develop new skills and boost self-confidence. Camps are offered for children ages 8 to 15, and run July 9 through August 16 on the Bedford and Lowell campuses.